The chairman of the House Business & Industry Committee said he was "stunned" to learn there is an obscure law that makes it easy for rent-to-own companies to file criminal charges against customers who fall behind on payments. 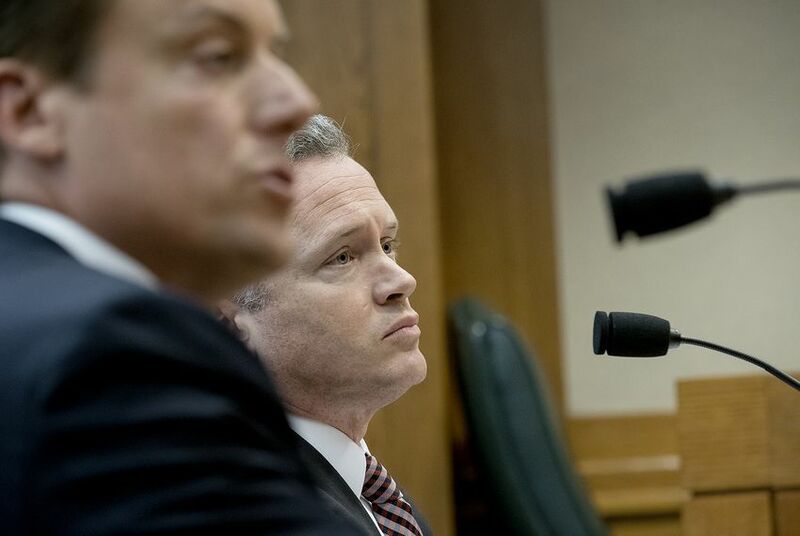 The committee is looking at changing the law after a joint investigation by The Texas Tribune and NerdWallet. After hearing tales of shady dealing and criminal charges being filed against Texans who fall into the crosshairs of rent-to-own companies, the chairman of the state House Business and Industry Committee said Wednesday that his panel will “aggressively” consider changing the law that can turn missed sofa payments into a quick trip to jail. Rep. René Oliveira, D-Brownsville, the committee chairman, said he was "stunned" to learn that a Texas Penal Code provision written in the 1970s by rental industry lobbyists is so stacked against consumers. Under the law, people are presumed to have stolen rented items if they sign a rental contract, don’t return them as required and then don’t respond to a certified letter sent by the company. The law doesn’t require receipt of the letter — only proof that it was sent. A months-long investigation by The Texas Tribune and NerdWallet found thousands of rent-to-own customers across the country — many of them in Texas — have had police reports filed on them under similar theft-of-service provisions. Some wind up arrested, jailed or facing felony theft charges. The criminal statute was added to the penal code 40 years ago at the bidding of rental companies — who complained they were bleeding cash when heavy machinery they leased out wasn't returned. Lobbyists for the industry drafted and helped usher into law a new provision that would make it far easier to prosecute renters who reneged on their contracts. Decades later, though, a Tribune analysis of police and court records found some rent-to-own stores are using the statute more aggressively than the equipment-rental companies that initially pushed for its passage. In a single medium-sized county in central Texas — McLennan, where Waco is located — at least six rent-to-own companies pressed charges against more than 400 customers in the past three and a half years, police offense reports show. Between 2015 and 2018, about 84 percent of theft-of-service prosecutions pursued by the McLennan County District Attorney’s Office involved rent-to-own customers. Because of the cluster of cases in McLennan County, Rep. Charles "Doc" Anderson, R-Waco, requested that the House Business and Industry committee study the issue during the interim with an eye toward making changes to the law when the Legislature meets again in early 2019. Since the joint investigation by the Tribune and NerdWallet was published, state and local lawmakers have called for the statute to be changed, saying rent-to-own companies shouldn’t have a special ability to use criminal sanctions against customers and that it’s a drain on law enforcement resources. Jason Milam, president of the McLennan County Criminal Defense Lawyers' Association, told the committee he had represented numerous clients in the Waco area who faced felony or misdemeanor prosecution in rent-to-own cases. In every case, he said, his clients were "shocked to learn that they can be criminally prosecuted for this." Milam suggested Texas do what South Carolina and Virginia have done — exclude rent-to-own contracts from criminal "theft of service" law that were written for traditional rental companies anyway. Otherwise rent-to-own companies are simply using prosecutors as bill collectors, he argued. "The law as presently written has the effect of subsidizing the rent-to-own industry at the cost of taxpayer dollars, government resources, and — ultimately — the liberty and reputation of Texas citizens," Milam said. 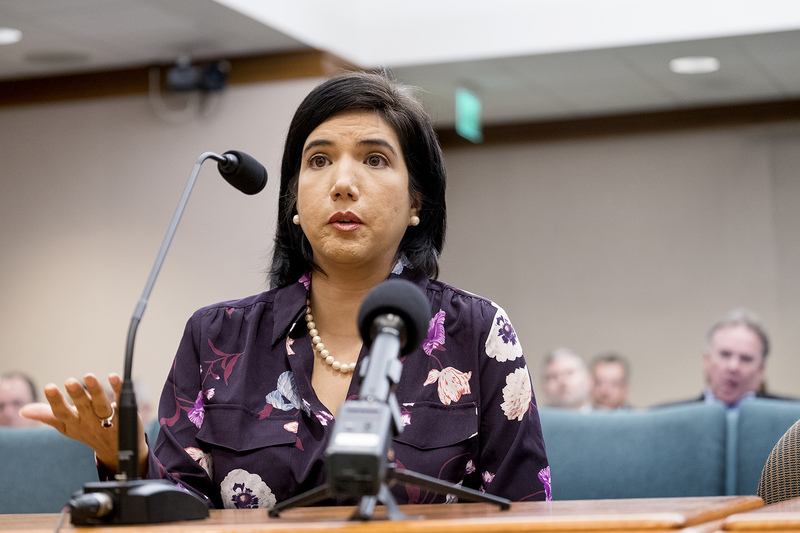 Testifying alongside Milam was Austin resident Melinda Sandlin, who says she was tricked into believing she had been put on a payment plan in 2014 to buy a new bedroom suite worth $2,750 at Discount Furniture in Austin. She didn't realize she had signed a “rent-to-own” contract through a company called Acceptance Now — a division of Plano-based Rent-A-Center, one of the largest rent-to-own companies in the United States. Sandlin said she had no clue the company had embedded itself in regular furniture stores around the country. Even though she had paid more than the cash price for the furniture, Sandlin said the company began threatening to have her arrested and prosecuted almost immediately after she quit making payments. She said company representatives called her mother and sister while she was having surgery and said "if I didn't pay I would be prosecuted. I would be going to jail." Sandlin provided voicemails to the Tribune last year in which one of the Acceptance Now representatives threatened to turn her over to law enforcement. In testimony before the committee Wednesday, the assistant general counsel for Rent-A-Center, told the panel that apparently "there were threats made, inappropriately by that store manager" and he said Sandlin was never turned over to prosecutors and would not have been under the company's strict guidelines. "And to the extent that [Sandlin] got that impression, I would apologize to her today, publicly, that that is inappropriate," the general counsel, Matt Grynwald, said. "The store manager that did that no longer works for us." Grynwald said Rent-A-Center turns over very few cases to law enforcement. Of 452,000 rental contracts from RAC and its Acceptance Now subsidiary in 2017, he said a little over 30,000, or 6 percent, were classified as "skips or stolen." Of those, only 223 were turned over to prosecutors, he said. "It is about the return of that product," he said. "It's not about collecting money." Likewise, Chris Higgs, president of the Texas Association of Rental Agencies, a rent-to-own industry trade group, said "the decision to file theft charges is done as a last resort and only when the business owner really believes there is an intent to steal." "The membership of [the association] would be concerned with any potential legislation that might undermine our rental purchase agreement and make it more difficult to recapture our merchandise," he said. "We want the merchandise back." Higgs, who operates rent-to-own stores, says the contracts his customers sign contain no warning about potential criminal liability — something members are exploring as part of a reform package. Oliveira said rent-to-own companies could use the same civil collection methods other retailers can use, and he expressed deep skepticism about the criminal sanctions they are allowed to use now. "I don't understand why you have this preferred status under the law," he told the industry representatives. "If the vast majority of you aren't prosecuting, it sounds like overkill."